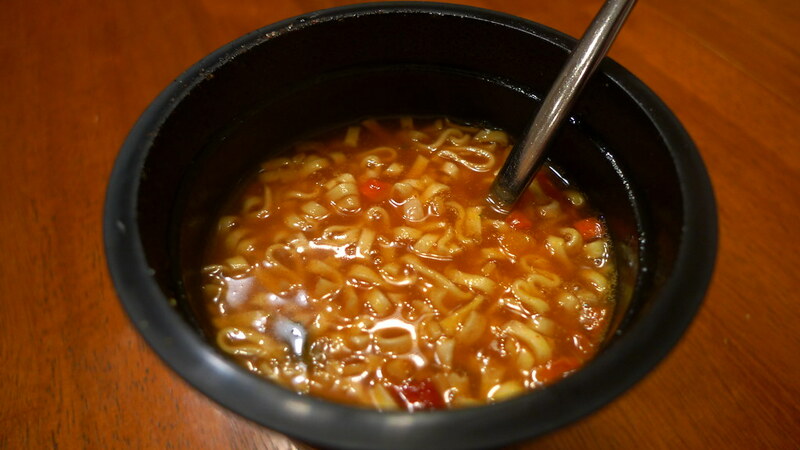 Top of Sweet & Sour pot noodle. I can't say that sweet and sour sauce is my favorite thing in the world, but I'll eat it. I've always had a prejudice against meat being sweet. It's only within the last few years that I've accepted BBQ sauce for what it is and will occasionally buy orange chicken. I was interested to see if this would please my palate. The inside before adding boiling water. 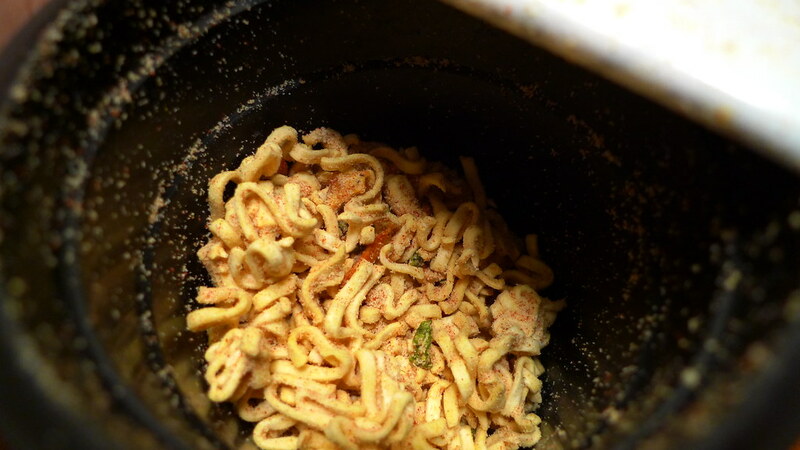 The noodles are the same texture and quality as the other Nation's Noodle product I reviewed. 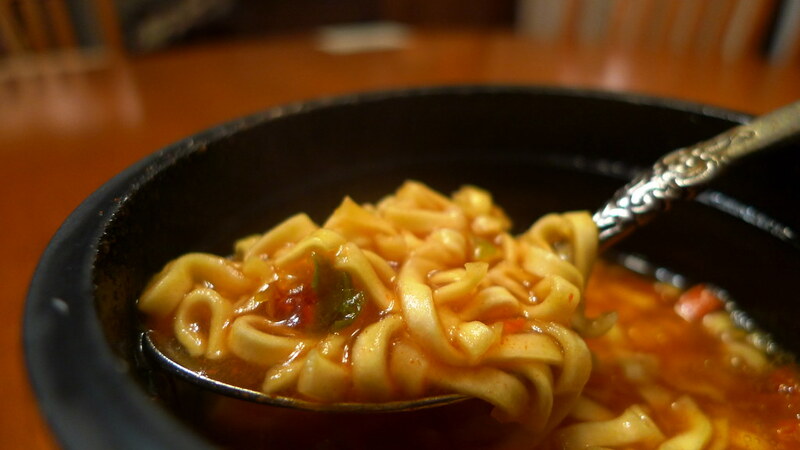 It is made the same way, too, and the outcome is a thicker stew-like broth instead of a soupy one. The taste is not the same kind of sweet and sour that we might be used to over here in America. It actually tasted more like tomato soup. In fact, calling this flavor Tomato Soup instead of Sweet & Sour would make a ton more sense. There were also too many vegetables. Lots of red peppers, green peppers, and carrots. Had bad texture, too. I couldn't even finish it all. 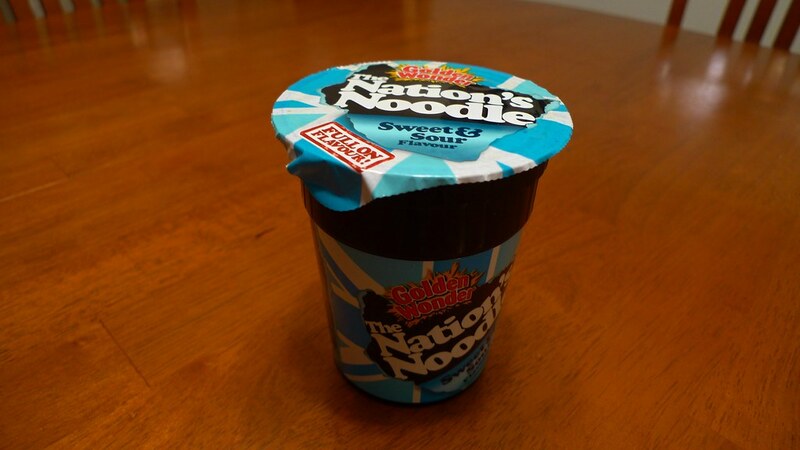 Spoonful of The Nation's Noodle Sweet & Sour. 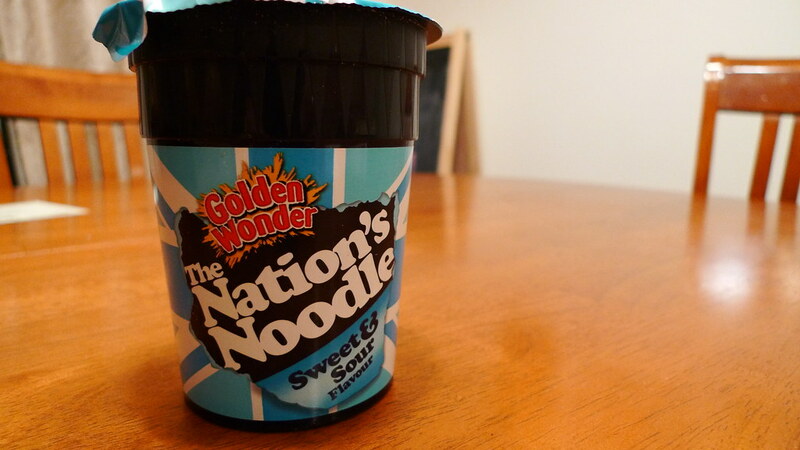 There's nothing special about this flavor of The Nation's Noodle. I don't really know who would especially like this. Juliana didn't really care much for it either. The flavor is just too sour and doesn't really appeal to us.